Do you have lime scale on your faucets or sinks? Notice that your soap does not seem to produce suds? You may have “hard water,” which is simply water with high mineral content. In general, it is not believed to pose serious health risks, but it can cause significant damage to your Bergen County, NJ home’s plumbing system. Water filtration may be a solution for your hard water problem. Call BZ Dependable today for more information. Hard water is common: more than 85% of homes in the US have it. The buildup of calcium and magnesium bi-carbonate on the insides of your pipes and fittings can cause system blockages, malfunctions, and imbalanced pressure. But there are solutions, one of which is a water filtration system. Water filtration systems filter the minerals out of your water. There are countertop filtration systems that attach directly to the faucet or tap and remove the particles from your drinking water. However, to avoid hard water damage to your plumbing system, you will need a more comprehensive full filtration system, which filters the water before it reaches the tap. One such method is an electronic descaler, which follows up on the water filtration process and changes the chemical composition of the water. The Krystal Klear system uses high frequency electronic pulses to change the bi-carbonate nature of the calcium and magnesium particles into a carbonate one. Filtering and descaling hard water not only benefits your plumbing, but also your everyday life. Filtered water tastes better, and it can also help your hair and skin by removing minerals which can make them look dull and lifeless. If you have questions about how water filtration and the Krystal Klear system can benefit your home and lifestyle, get in touch with a Bergen County, NJ water filtration expert. Call BZ Dependable today. Even though we get our water from a utility company that purifies our water, there can still be a number of contaminants in your water. Some of the contaminants in your water are harmless but others can be quite dangerous. Removing those contaminants should be the priority of any homeowner concerned about the quality of their water. BZ Dependable provides complete water filtration system installation in Fair Lawn, NJ. We thought it would be helpful to put together a quick list of some of the contaminants that might be in your water. If you have hard water in your home then it means that there are excess minerals in it. Calcium and magnesium are two of the most common minerals that are in hard water. While those minerals aren’t necessarily harmful to you, they can cause huge damage to your pipes and to your appliances. Mineral build up can clog your dish washer drains or wear out the insides of your pipes. Most water contains some chemicals, and most are completely harmless. However, your water will taste better and clean better the purer it is. Many filtration systems can remove chemicals in addition to minerals. Water filtration systems are one of the best ways to remove chemicals and minerals from your water supply. However, in order to accurately target the contaminants in your water supply, water testing is needed. BZ Dependable also offers water testing in Fair Lawn, NJ. If you suspect that you need water filtering for your home’s water supply in Fair Lawn, NJ, call BZ Dependable today. Everyone today expects access to dependable water service in their homes. Running water is a huge part of our day to day lives, but many of us never stop to consider the plumbing systemsand mechanisms that make this luxury possible. You may find yourself wondering about such issues, though, if the quality of the water in your Hillsdale, NJ home has taken a turn for the worse. At BZ Dependable, we know that you need more than just access to water; you need to have access to the cleanest, purest water possible. With the installation of a Krystal Klear Water Filtration & Electronic DeScaler you can achieve that goal. Contact us today to schedule service. There are a number of reasons that the quality of the water in your home may be compromised. These issues manifest themselves in different ways. One sure sign that you need a water filtration device is the presence of a bad taste or odor in your water. By removing chlorine and unwanted organic compounds from your drinking water the Krystal Klear Water Filtration & Electronic DeScaler can help improve your quality of life. The Krystal Klear Water Filtration & Electronic DeScaler can also help make your water safer, both for your health and the condition of your plumbing system. It accomplishes these goals by filtering out heavy metals, iron, lead, pesticides and more contaminants in your water. Removing these substances from your water helps protect you and your plumbing. Enjoy improved skin health, cleaner laundry, and even prolonged life of appliances such as your dishwasher and water heater. The Krystal Klear Water Filtration & Electronic DeScaler can do so by reducing scale buildup and rust in your pipes and fixtures. Let us help you achieve your clean water goals. There are a lot of things that you have to worry about when you own a home. Don’t let the quality of your drinking and cleaning water be one of them. Call BZ Dependable today for more information about the benefits of a Krystal Klear Water Filtration & Electronic DeScaler. Paired with our excellent services, this device can make your Hillsdale, NJ home a cleaner, healthier place to live. BERGEN COUNTY PLUMBING QUESTION: HOW DO I SELECT A WATER FILTRATION SYSTEM? 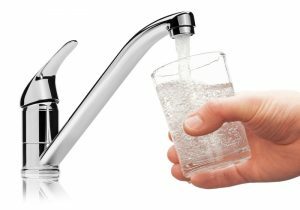 Selecting the right water filtration system for your Bergen County plumbing is largely a matter of determining what kind of water you have. In order to find out which is the best water filtration system for your home, you must analyze the quality of water you get at your home. If you get water from a public source, you can get all the information from an annual water quality report. The next step is to analyze the types of systems available on the market. You can opt, for instance, for filters that have technology to control the levels of various chemicals in the water. On the other hand, for more specific requirements you may have to resort to water softeners to reduce water hardness, oxidation systems to control manganese and iron levels, reverse osmosis systems to reduce heavy metals, distillation systems to remove dissolved minerals and metals or ultraviolet systems to control bacteria as well as viruses. All these systems are important and need to be selected on the basis of the type of water you have in your home. All these technologies are useful when it comes to control and removal of specific types of contaminants. Some of them can treat the entire water supply of the house while others are only effective when used on single taps. You will likely be forced to combine two or more technologies to get the best quality of water possible. For example, if you use water from a private well and have a problem of hard water as well as bacteria, you will have to use a water softener as well as a UV treatment system. When choosing a system, you must ensure that the system is efficient and has the right kind of technology and components to handle your specific problem. To help you find the right system for your Bergen County plumbing, give BZ Dependable Plumbing & Heating Inc. a call today! Posted in Plumbing | Comments Off on BERGEN COUNTY PLUMBING QUESTION: HOW DO I SELECT A WATER FILTRATION SYSTEM?